People We Serve at Alabama Goodwill Industries Inc.
During 2017, Alabama Goodwill served 140 disabled and/or disadvantaged individuals. This population included the following barriers to employment: blindness, visual impairment, neurological problems, learning disability, developmental disability, psychiatric/emotional disability, substance abuse history, unemployed/dislocated workers, persons with a criminal background, older workers, literacy problems, lack of GED/high school equivalency, and lack of market-valued post-secondary credentials. The persons served in this section of the Supportive Employment Program are referred to us by the Alabama Department of Rehabilitation Services (ADRS) and are not able to perform work in a competitive environment. We place them in janitorial, production, clerical, and retail positions where they are closely supervised and given tasks that are within their capabilities. Another term that describes this work environment is sheltered employment. The revenue that pays the expenses for this group of employees comes from our United Way Allocation and retail store revenue. An occasional grant helps provide special equipment to accommodate their disabilities and purchase safety equipment required by government agencies. The persons served through the federal contract section of the Supportive Employment Program are referred to us by ADRS and the Veteran’s Administration. This portion of the program is fully funded by the federal contracts, which are negotiated through SourceAmerica. These contracts are located (in Alabama) at the Birmingham VA Medical Center, the Robert S. Vance Federal Building, the Tuscaloosa Federal Building, the Anniston Federal Building, the 117th Air Refueling Wing, and the Social Security Administration Warehouse. We also have a contract at the Aberdeen, Mississippi Federal Building. Our organization is required to fill at least 75% of the positions with individuals that have a significant disability. The contracts include janitorial, switchboard, food service, forklift, and mailroom positions. Occasionally, our organization will place an individual with a disability in one of our eight retail stores outside of Birmingham (Arab, Ashville, Athens, Boaz, Gadsden, Guntersville, Huntsville, and Scottsboro). These individuals learn donation sorting, clothes hanging, customer service, and cashiering. These individuals are funded by the revenue from store sales at their location. The Employee Development Services Program is comprised of disabled and/or disadvantaged individuals referred to us from ADRS. This program serves both adults and youth and is fully funded by ADRS fees. 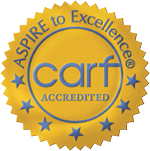 ADRS refers adults to our organization for evaluation and counseling and to acquire the “soft skills” needed for success in locating and maintaining competitive employment. The Job Readiness Classes teach good hygiene, ethics in the workplace, regulations required by employers, transportation, timeliness, and appropriate attire. When ready, these individuals use computers to search and apply for jobs. When needed, the applicants assisted with transportation to job interviews and job fairs. In 2017, Alabama Goodwill partnered with ADRS in a new program for youth in the Birmingham/Jefferson County School Systems. The ADRS Smart Work Ethics Program provides job readiness classes to youth that are preparing for employment upon graduation from high school. The “soft skills” that we teach adults are also used in these classes. 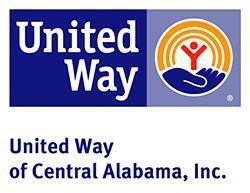 During this first year, Alabama Goodwill’s Rehabilitation Specialist taught eight classes and a total of 60 students.